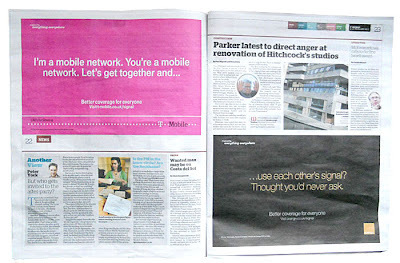 This set of ads for T-Mobile and Orange are from today's Metro newspaper. 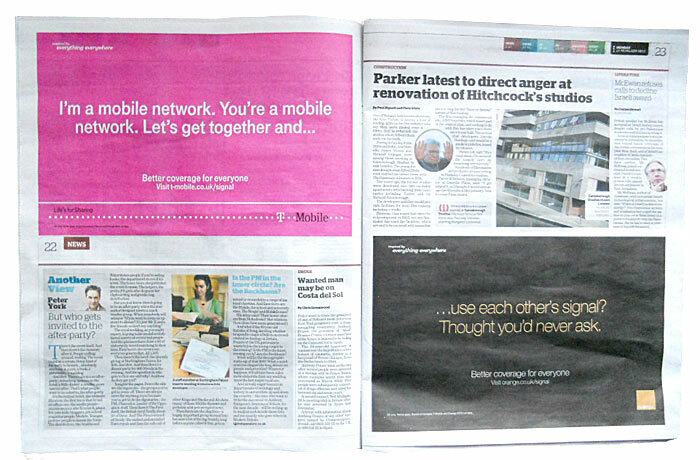 The single 1/2 page ads feature linked copy delivering a single strap-line across two pages and two brands. 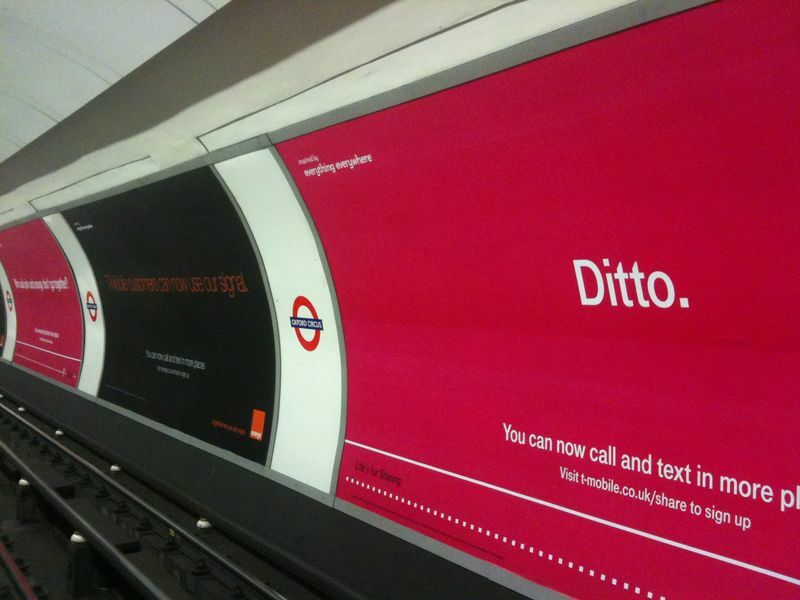 It's interesting how this campaign came about, and impressive that its still going well some eight months after launch. 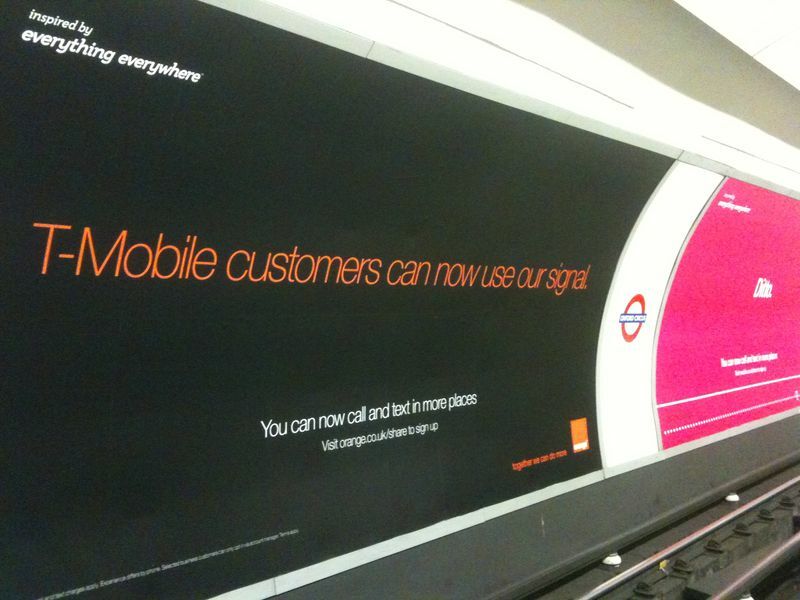 Way back in April 2010, rumours surfaced that Orange and T-Mobile were preparing to ditch their respective brand names and combine them into a new network identity to be known as ‘TOM’ (an acronym of ‘T-Mobile Orange Mobile’). The new TOM brand was absurdly reported to be rolling out across the UK in a multi-million pound ad campaign fronted by Tom Jones. But in July 2010, the UK's biggest communications company came into being - Everything Everywhere – and it turned out that they had acquired both Orange and T-Mobile. There are currently also some nice cross-over flash ads on the T-Mobile and Orange websites - including the Orange logo in T-Mobile's magenta - a successful (and legal) example of mashup branding.